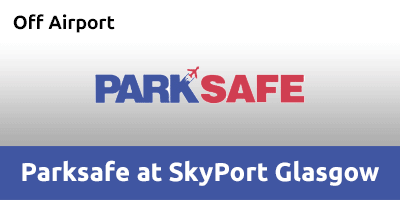 Parksafe at Skyport is an affordable and easy-to-use car park that doesn't compromise on location. With 24-hour transfers, this self-park facility is perfect for both leisure and business travellers, alike. The transfer buses operate on-demand, 24 hours a day and take less than ten minutes to reach the airport. Parksafe is protected by CCTV, regular patrols and security fencing. It's also a holder of the police-approved Park Mark Safer Parking Award. Large disabled car parking spaces are available. The buses are designed to ensure a pleasant and convenient experience for all passengers. Vehicle restrictions apply. Please see more inofrmation below for detials. Go straight over the first roundabout. Follow East Avenue until the end then Skyport will be on the left. Drive up to the Skyport entrance barrier, which will automatically rise once the Automatic Number Plate Recognition (ANPR) system recognises your booking. Head to the pick-up point to take a transfer bus to the airport. Call Skyport once you have collected your luggage to request a transfer. Take the bus from either bus stop 4 or 5 to the car park. Collect your car and drive to the exit barrier which will rise on approach.